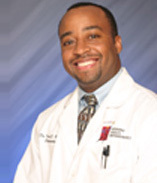 Dr. Derek E. Brown is an orthodontist for the residents of Bowie, MD. As an orthodontist, he helps people correct and enhance the function and appearance of their teeth. Orthodontists are perhaps best known as the doctors who put on braces and straighten teeth. Many of the beautiful smiles you see both in the media and in your day-to-day life in the Bowie, MD, area were achieved with the help of an orthodontist. Dr. Brown, one of the most recommended orthodontists in Bowie, MD, can determine which of these techniques is best for your individual situation and goals. No matter what your age or current dental situation, you will likely be surprised by how great your smile could look with the help of an orthodontist. Winning Smiles Orthodontics is the premier orthodontics practice serving the Bowie, MD, region. It is well-known for both Dr. Brown’s superior abilities and the staff’s wonderfully friendly customer service.